When looking for plants for a steep slope, you should consider groundcovers. Groundcovers are low-growing plants that spread quickly, form a dense cover and help prevent soil erosion. Many ground covers are available for slopes, including plants for full sun, part sun and all shade. Groundcover plants are available in a number of different varieties, colors and shapes. Creeping juniper is an evergreen with a compact growth habit. Depending on the variety, it grows to approximately 2 feet in height and can spread up to 10 feet wide. The greenish-blue, needle-shaped leaves turn a purplish color in the winter. 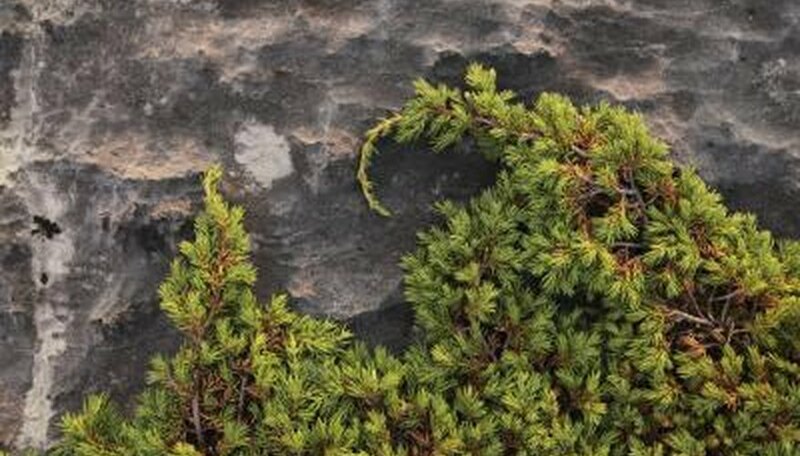 Creeping juniper does best in full sun and a moist, well-drained soil. Creeping juniper produces male fruit that is dry and yellow. The female fruit is dark blue, fleshy and berry-like. 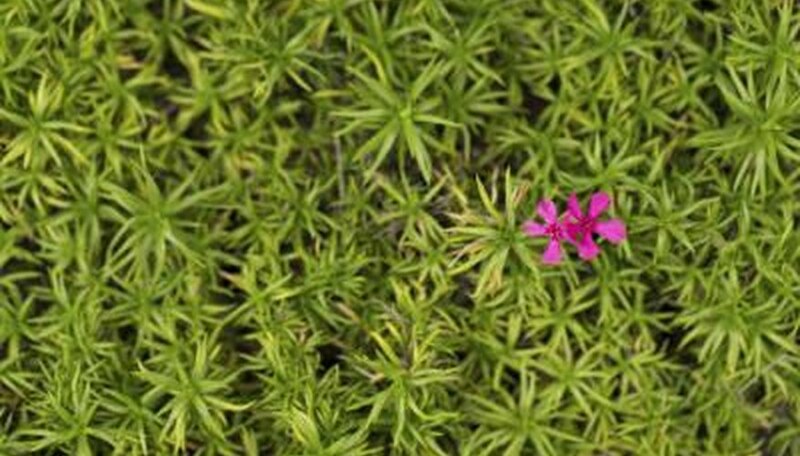 Moss pink, also known as creeping phlox, is an evergreen suitable for rock gardens, steep slopes and for use as groundcover. The plant forms a dense mat of green, moss-like foliage. Purple, pink, red and white flowers bloom in the spring. Moss pink usually reaches a height of 1 foot. For best growth, plant moss pink in full sun and dry soil. The plant tolerates part sun and acidic, loam and clay soils as well. Hosta does best in shady areas. These plants smother weeds. 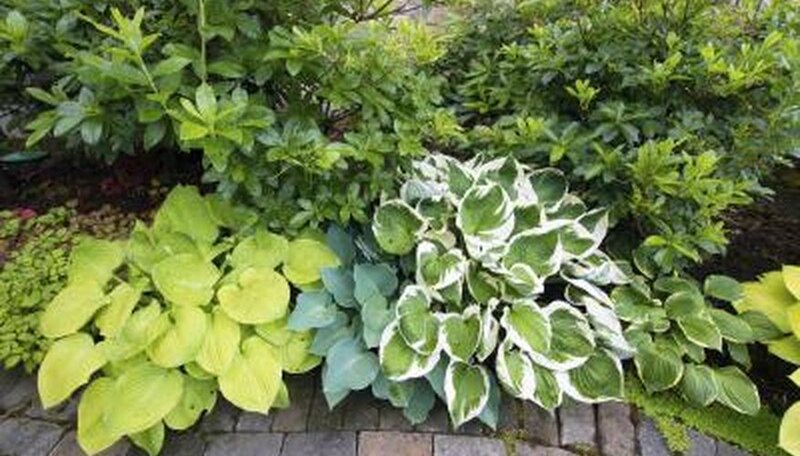 Hostas vary in foliage color and size. Foliage colors include dark-green, bluish-green, grayish-green and yellow-green. For best growth, plant hostas in a moist, well-drained soil and part to full shade. These plants do well in full sun, as the leaves will fade and begin to die back. 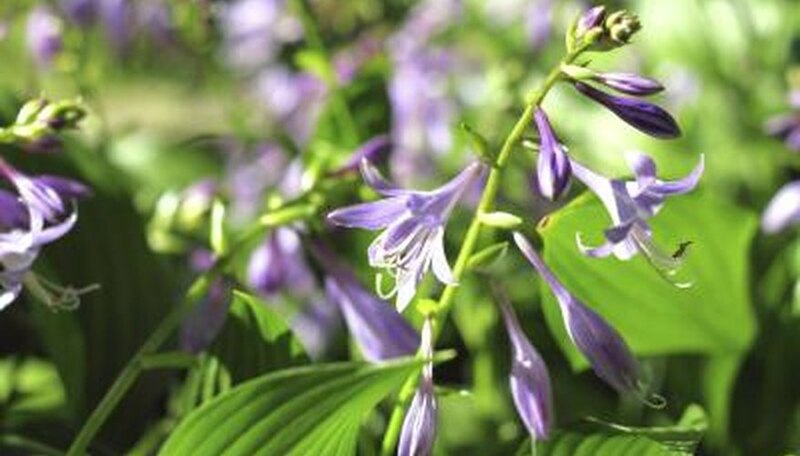 Hostas sometimes produce lavender or white, lily-shaped flowers in color in the spring. These plants die down to the ground in winter but come back producing new foliage in spring. Lilyturf, also known as monkeygrass, grows in clumps and reaches a height of 18 inches. Lilyturf grows in full sun or heavy shade but produces fewer flowers in heavy shade. The plant grows spikes of lavender around August. The green, spiky foliage grows in clumps that slowly increase in size. In February, trim dead foliage and new foliage will appear in early spring. 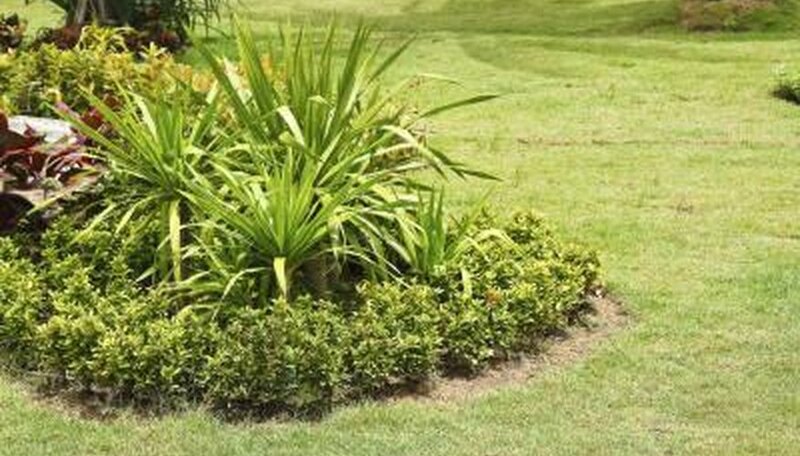 Use lilyturf for groundcovers under trees and shrubs, slopes and low-edging plants.